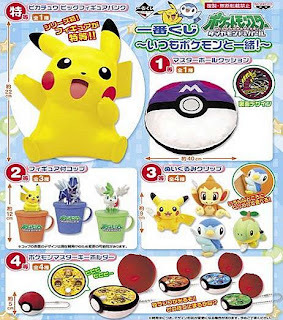 Japanese convenience store franchise Lawson starts to pre-order the following Pokemon Christmas cake, plush and set from 30 September to 29 November, it will be delivered from 12 December to 25 December. Subarudo will release Pokemon Dice DP Battle series in the middle of October. On the dice, a hologram sticker and five normal stickers are attached. Cocacola Japan starts to present a Pokemon Savings bank with purchase 4 pcs of 500/410ml bottles from 29 September to end of stocks. Japanese major economic newspaper Nikkei reports that Nintendo has plan to release the new Nintendo DS model later this year in Japan. New Nintendo DS has built-in camera, music playback and enhanced wireless functions. New model will cost less than 20,000 JPY. On 2 October 2008, Nintendo announces new DS model 'Nintendo DSi', it will be released on 1 November ! 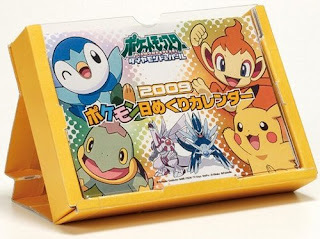 Bandai will release Pokemon Kids Kimewaza : Attacks Learned (also known as Move) DP series in December 2008. Will upload the photo later. As for previous 'Attacks learned' items, please refer to series 07 and 08. 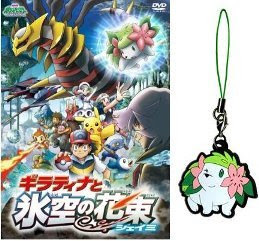 Mediafactory will release DVD (Japanese language) of Pokemon movie 11th Giratina and the Icy Sky's Bouquet: Shaymin on 19 December. As for movie 11/12 more info, please refer to previous movie info pages. Tomy will release new figures Monster Collection (MC) set on 24 October, includes the following 18pcs. Grotle, Mesprit and Cresselia are prior release. 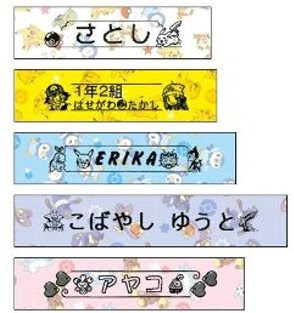 McDonald's JP will start to sell Happy meal set with Pokemon Ruler on 24 October to 6 November. The ruler has 3 functions. Have you written graffiti on the blackboard in the school ? Kokuban.in (meaning blackboard in Japanese) services for it. They provide writing space, 5 colors of chalks and eraser. Here is some Pokemon's graffiti and others. When click it, writing process can be seen. Enjoy it ! One of Pokemon ultra rare plush set is listing in Yahoo Japan auction now. Banpresto will release the followings in January 2009, size 15 cm, game prize. It is the first plush of Porygon-Z. If interesting, please check the following PowerAnime links. Item will be shipped in February. 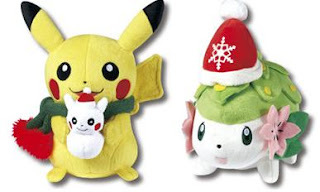 As for Glaceon & Leafeon plush, also please check previous article. Banpresto will release the followings in December, size 25 cm DX type, game prize. If interesting, please check the following PowerAnime links. Item will be shipped in January. Tomy will release Giratina origin forme action figures on 3 October. Will update detailed gimmick later. If interesting, please check the following YesAsia's link. 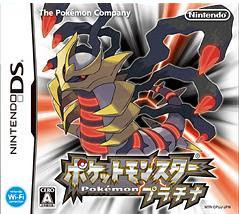 Mainichi JP News site reports that Pokemon game Platinum sold 967,675 (number of package) in just 2 days since game released 13 September according to EnterBrain (Famitsu) research. In case of DP, it sold 1.6 million in 4 days since game released. Shogakukan (Japanese book publisher as known as publishing Corocoro etc) publishs 'Pokemon Fan Vol.5' on 13 September. The contents is Platinum game info, ads of upcoming merchandis. Also the following attachmens are included. As for previous Vol.4, please refer to Pokemon Fan Vol.4. 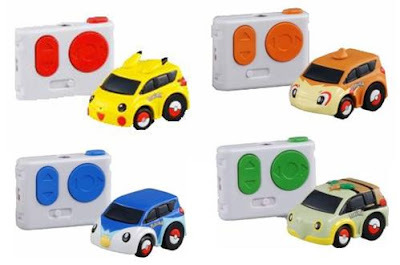 Tomy releases the following four Pokemon QSteer car on 13 September. QSteer is remote control by infrared light, based on Choro-Q car. On the controller, left button manages direction (forward/back), right one is steering, right on top is speed control. Required battery : Button battery LR44 x 4 pcs. As for other Pomon Choro-Q items, please refer to Choro-Q and mini Choro-Q. As for Pokemon World Championships 2009, the following Pokemon from Platinum are out of scope to use in the video game field. As for Luxio, Uxie figures from TomyMC, a photo (preview) is uploading to the previous article. Will replace it to official one later. 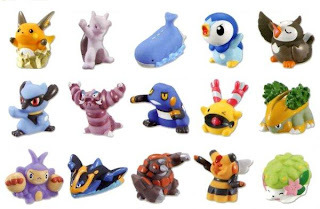 Photo of Bandai Pokemon Kids new series (national Dex series, release in October) is uploading to the previous article and marking new pose figures. 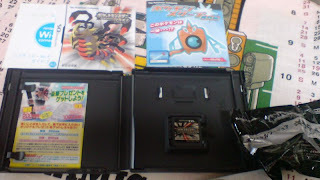 Corocoro's October magazine and Platinum official pages comment on procedure for capturing new Rotom forme. We don't need to complete Sinnou Dex/entering to Hall of Fame, not like DP. Go to Old Chateau in Eterna Forest. There is a TV in one of the rooms, then check TV at night. When battling with Rotom, recommend to use Darkball. 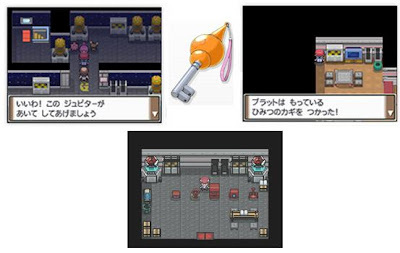 Special item 'Secret Key' will be distributed on 28 September 2008 to 4 November via WiFi connection or DS station in Japan. Preparation for receiving Secret Key in case of using Wi-Fi : Talk to TV producer in 3rd floor at Jubilife TV , then answer 'みんな' (everyone) 'ハッピ-' (happy) for impression on TV, 'Wi-Fi' 'つうしん' (communication) for comment on TV. Please refer to PokemonJP official page. Go to Secret Room with Secret Key where is 1st floor of Team Galaxy bld. in Eterna City. Before that, need to win Jupiter in the battle. The following Pokemon 3D mini movies will be released with digital 3D version on 4 October in Japanese Waner Mycal Cinemas's theatres. My Pokemon Ranch official site announces that it is going to update for Platinum, will be released within the year. If you already have My Pokemon Ranch, updating is available with free of cost. 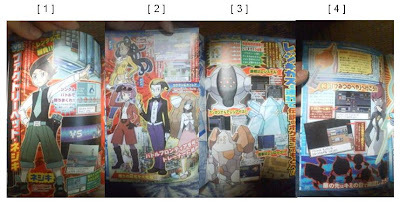 In previous article Corrocoro's Oct first scanning, the new charactors are introduced. Here is more info. The shown names are in Japanese. Corrected name of Exective of Team Galaxy, it is Pluto. 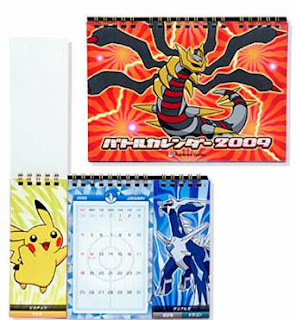 PokemonJP will release the following 2009 Pokemon calendar on 13 September. 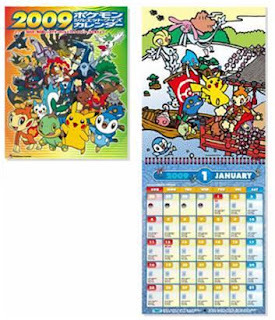 As for other 2009 calendars, please refer to Pokemon 2009 Calendar (Étoile). Just small topic of Platinum. 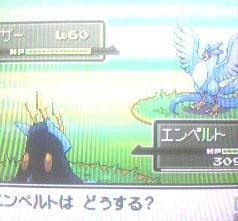 Articuno, Zapdos and Moltres (Lv.60) can be caught after talking with Prof.Oak at PalPark Platinum. Oooh surprise ! Photos from Pokemon Scope are uploading, and confirmed Heat Rotom, not Oven Rotom. Banpresto will release Ichiban-Kuji (meaning: No.1 Lottery) in December, 5 grade of prizes. Prize and Includes Probability (IP) of lottery are shown as follow. As for prevous items, please refer to Ichiban-Kuji 2008 movie version. The following photos are uploaded on image uploader. Thanks to 2ch user. [ 4 ] Secret key for Rotom forme changing is Rotom's head. There is secret room. Just now the following photo is uploaded in 2ch Platinum thread. It seems drying machine, is one of Rotom's forme. Pokemon next Movie 12 based on Greece ? Pokemon screenwriters Hideki SONODA visited to Greece for gathering info purpose in the end of August. Visited to Archaeological Site of Delphi, Kalambaka, monasteries in Meteora, Ioannina, Vitsa village and The Vikos Gorge in Zagori. He posted it to his blog, nothing mentions Pokemon. Serebiiforums : Movie 12: Possible Setting? 08 Dec 2010: How is Pokemon movie 14th ? Check this post. 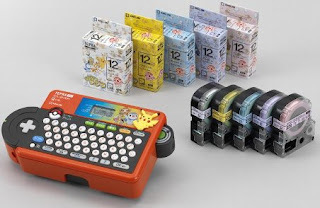 Japanese office/home supplies maker King Jim Co. LTD, will release Pokemon Tepra label printer on 3 October 2008. Tomy will release Pokemon Relax Pose Plush on 10 October. Also Leafeon and Glaceon are included, please refer to previous article. If interesting, please check the followin YesAsia's links. In previous article, the photo in Tokyo toys show 2008 were introduced. Here you are latest photo. Please note that release date is changed. As for eeveelution figures, please refer to eevee evolution figures. If interesting, please check the following YesAsia links. Subarudo will release Pokemon watch (digital type w/monster ball) in the end of September, the photo is adding to previous article Pokemon Watches. Yujin will release DS Touch Pen Pokemon DP DX version in the end of September. Attached figure suze : 3cm, gashapon (capsule toy). 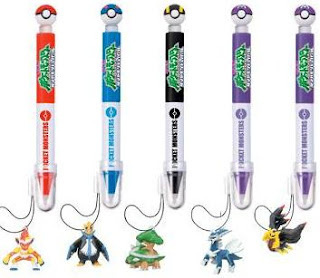 As for movie 11th version, please refer to Pokemon DS Touch Pen (Yujin). The New CM for Pokemon game Platinum is on air on 6 September. It is unusual CM, a woman talks about her memories of previous played game and her favorite Pokemon 'Gengar', then she plays newest game (Platinum). There are other variant of this CM, woman talks Squirtle, man talks Kakuna or Magikarp. 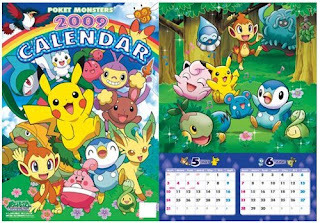 Calender leading company Étoile will release the following 2009 Pokemon calendar in the beginning of October. As for monthly calendar from Shogakukan and McDonald's (monthly wall top 13/14 pages) , it will be released in the middle of November as usual, will post them later. 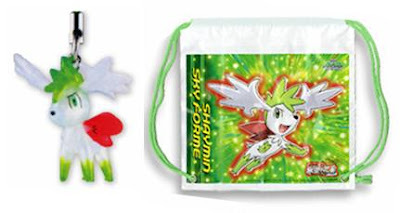 Banpresto will release Regigigas and Shaymin (sky forme) soft vinyl figure in the middle of December. Game prize, size is appox. 15 cm, assemble model. As for Giratina and Shaymin (land forme) figures, please refer to previous article Giratina and Shaymin Figure. In previous article Pokemon Talking Small Plush Palm Top Size (Tomy), the following point is edited. 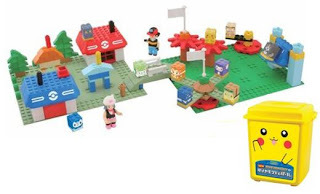 Bandai will release the following new MegaBlocks Toys on 25 October and 8 November. Will edit detailed including blocks later. As for previous line up, please refer to the following links Bandai useful pages. [ Edit 3 Nov 2008 ] Edit and corrected including blocks. 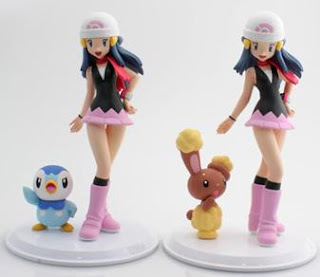 Ensky will release 13 figures of Pokemon Keshipoke series DP5 in the end of November. Size is 0.7" , the figure comes in an eraser Pokeball. (Keshi means eraser in Japanese) Will upload the photo later. As for previous line, please refer to Keshipoke DP1-DP3 and DP4. Tomy will release Pokemon Trainer Acting Set Platinum version on 3 October, 2 sets for boys and girls. Poketch and Pokedex are just model toys, does not have the time and reference function ^^; Screen on Poketch is changable when touch the button, also screen on Pokedex is changable with entering printed cards. Pokemon figure can be stored in Pokeball. 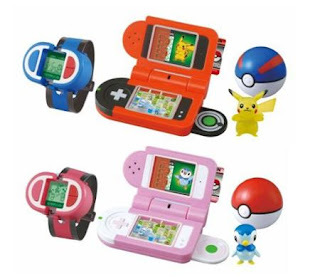 As for real DP trainer goods, please refer to Poketch and Pokedex. If interesting, please check the following YesAisa's links. 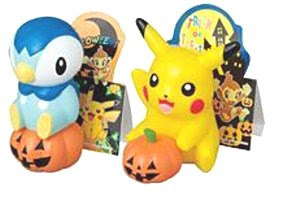 Tomy will release Pokemon Talking Small Plush Figure Palm Top Size on 20 September. Size : 6-7 cm, Required battery : Button type LR44 × 2pcs. Taling voice is based on TV annimation. 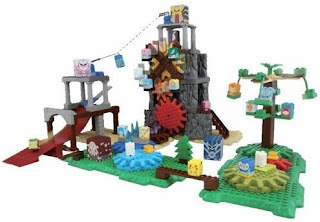 Surface is flocking, Tomy classifies this item as figure, not plush. One Platinum info for you. Bandai Carddas will release the following stickers sheet (can make box) in the middle of October. The preview paper says that number of Sinnoh Pokemon in Platinum is 210, increasing 59 Pokemon from DP. Will post detailed 59 Pokemon later.